Gain insights into AGCO's lean culture. Problem solve your way to RIGHT - right tool, right place, right data, right time. AGCO received the AME Excellence Award in 2017. AME recognized AGCO’s excellent job at creating an engaged workforce that continually drives toward operational excellence. 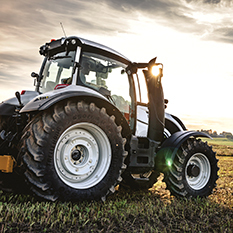 Policy deployment has been started at the top level, and AGCO is on the journey to extend this activity throughout the organization and down to the shop floor. Learn how lean cultures drive innovative thinkers and disruptive solutions. Discover how deploying smart glasses and augmented reality in manufacturing operations has accelerated AGCO's continuous improvement efforts across the site, while traditional best business practices continue to enable employees to be extraordinary. Hear how AGCO is committed to focusing its resources on producing the best possible value for customers, from problem solving and idea creation though delivery. The company knows that the best ideas don't emanate top-down, rather bottom-up, and it provides employees the tools, communication methods and support to personally take ownership for how the company performs. Eric Fisher serves as AGCO’s director of operations for the Jackson, MN, campus. He has served in the site director capacity for the last 8 years and under his leadership the site has been recognized with the AME Excellence Award, named the 2017 Assembly Plant of the Year, and also recognized as one of IndustryWeek’s Best Plants. Fisher is a certified black belt and has over 25 years of experience implementing lean tools and innovative cultures. He holds a BS degree in industrial engineering from Iowa State and an MBA degree from Southwest Minnesota State.